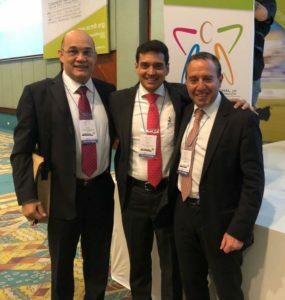 The 4th International Congress on Physical Medicine and Rehabilitation, the XXIX National International Congress on Physical Medicine and Rehabilitation, and the 1st International Congress on Movement, Disability and Autonomy was hosted by the Colombian Association of Physical Medicine and Rehabilitation (ACMFR) in Santa Marta, Colombia from August 16th-18th 2018. 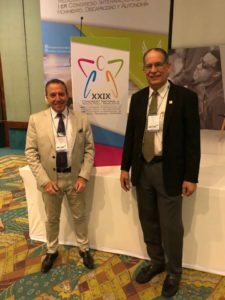 The congress attracted 614 participants from 13 countries including Colombia, Argentina, Chili, Peru, Ecuador, Panama, Costa Rica, Cuba, Puerto Rico, United States, Spain, Portugal and Switzerland. Over 80 lecturers, among which 15 international lecturers, from more than 10 countries shared their experience, academic and research developments, and cutting edge knowledge about Movement, Disability and Autonomy. Considering that the humanization has been an acclaimed topic, it was also included, as well as sexuality in people with spinal cord injury. 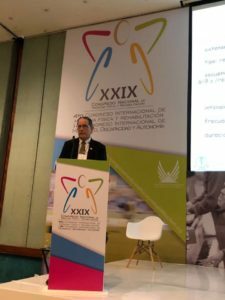 A call for proposals was held on 24 different topics -the vast majority about movement in people with disability- resulting in 22 scientific modules and 10 workshops. A research contest was also promoted, where researchers could challenge their methodological and communicative skills: 43 proposals responded to this invitation: 23 combined written/oral presentations and 20 posters. For the written proposal, a structured and individualized questionnaire according to the type of study was fulfilled by the juries and the inter-rater correlation was around 0.6 and 0.9 among all the studies. Over 25 contestants among professors, researchers and residents reached the final stage, with 8 oral presentations. The contest ended with 5 winning projects, strengthened researchers and motivated writers. This was a magnificent opportunity for the flourishing spirit and professionalism in rehabilitation; for the leaders to give their best; to empower those who doubt about the future by reminding them to keep up their work; to prevent lethargy among those who felt that everything was said; to awaken the sleeping minds; to renew those who felt they did all they could do; to enlighten with faith for those who had a blurred sight about disability or rehabilitation; for the return of those who walked away; for many natives and foreigners, from distant locations; for those who like to be updated but their circumstances are adverse; for those who believe in cutting edge knowledge, practices, technology, scientific and academic developments; and finally, for friends who met one more time.